RECREATURA_arts&culture, an NGO, was created in December 2008 when a group of like-minded Europeans decided to start something they'd all been longing for in Valencia, Spain: a European association dedicated to the idea of active European citizenship through the organisation of innovative and ambitious cultural events. 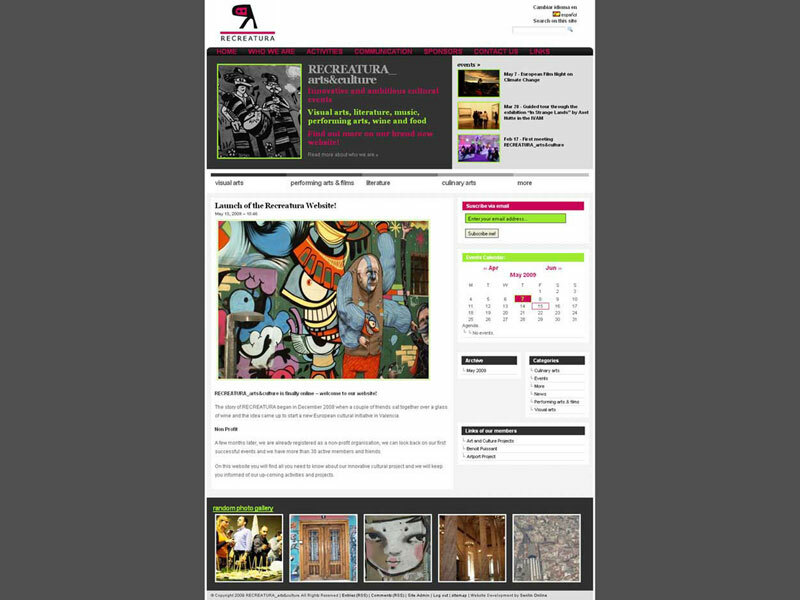 Their events include visual arts, literature, music, performing arts, wine and food, and often take place in up-and-coming venues or other areas of the city. Their intent is to bring people together and build new networks, both social and professional. 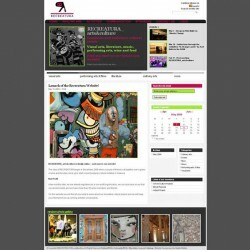 Through the RECREATURA_arts&culture website they invite like-minded people to find out more about their past and future activities. The website is all about events and needed to be in Spanish as well as English. We used an adapted version of a premium magazine style WordPress theme for the site and adapted that to be able to use it in a bilingual environment and according to the client's wishes.